The Belize Lion Zone 59 handed out Lions Quest textbooks to the Caye Caulker Roman Catholic School students on Thursday September 19th. The donation is the organization’s continued support to the Lion’s Quest Program that has been adopted by the school since its inception in Belize. 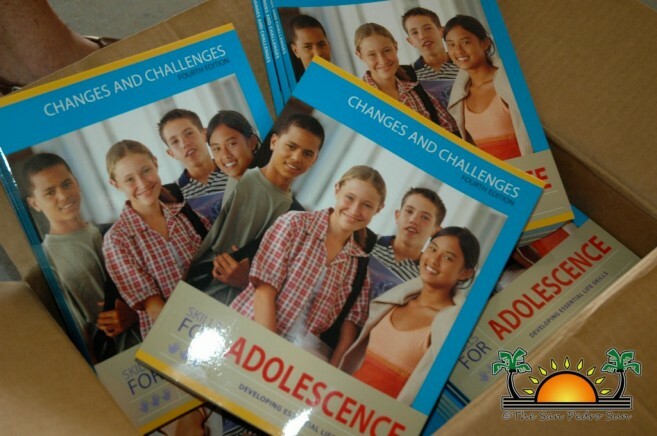 Generally, the programs are comprehensive, positive youth development and prevention curricula that unite the home, school and community to cultivate capable and healthy young people of strong character. 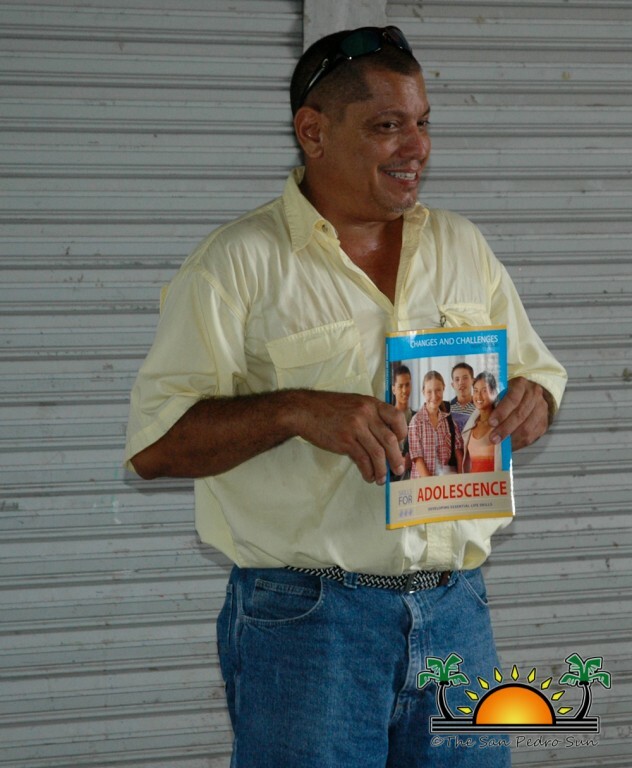 On hand to deliver the textbooks was the Chairperson of Belize Lion Zone 59 Melanie Paz and the Lions Quest Director Robert “Bobby” Lopez. Speaking to the kids, Paz took the opportunity to share with the students, the Lion’s commitment to the program as well as the importance of Lions Quest in molding good, productive citizens. The Caye Caulker RC School has been teaching life skills with the use of the Lions Quest Program since its inception in 2005. Today, the school has a total enrollment of 390 and they continue using the program as their main tool to help influence the behavior of their students. According to Adelita Verde, Vice Principal of the school, since the school came onboard with the Lions Quest, there has been a complete transformation of their students’ behavior. “It is a very good program for our youth. Our school began as a pilot school and thanks to the support of the Lions, we still continue to use the Lions Quest Program. In the lower divisions we do skills for growing and the upper division we do skills for adolescence. We are seeing a complete change in the character of the students and even in the attitude of our parents. The parents change along with kids because as parents they are required to come in to the classroom one time per term (three times per year) so that they can get acquainted with the program we are teaching and they can adopt some of the techniques at home. Before we began with the Lions Quest program, we had a lot of issues with fights at the school. The children were mean to each other – they came from homes with different issues and so combined all that and it was not a nice environment. Today we can say that we no longer have those issues – we have overcome those challenges and we can see the positivity in our children,” said Verde. 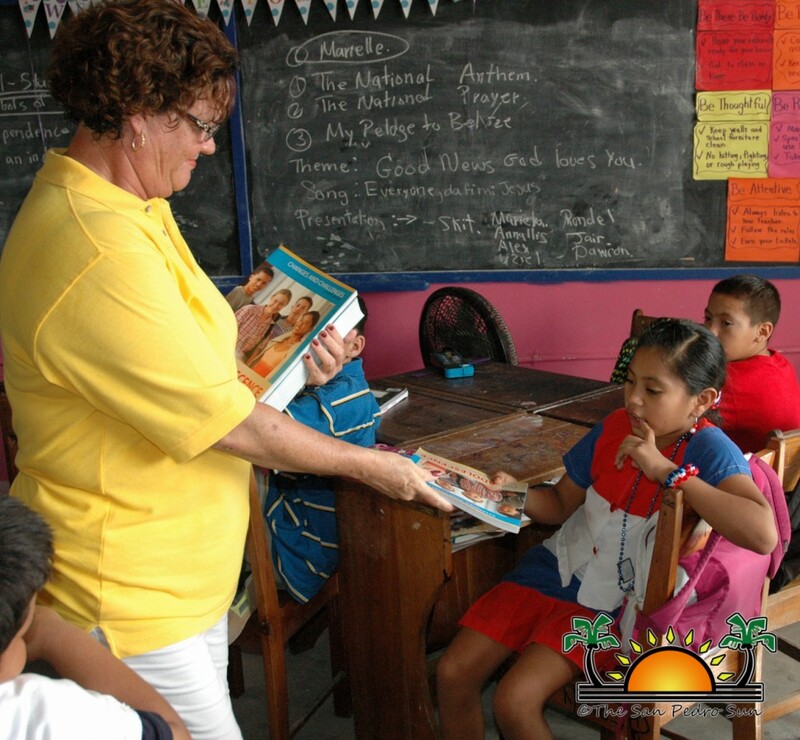 The overall cost of each textbook is Bze $20 of which the San Pedro Lions Club, through the Belize Lions Zone 59, contributes to the program. For Paz, the investment made is a wise one since the results are positive. “Look at the students. They are all dedicated and everyone is quite to the point that you think that no one is at school. The environment is so different when compared to other schools. The students are well mannered and polite and even the messages around the building gives you an indication that this not just another school – it’s a school where Lions Quest is working and making a difference,” observed Paz. 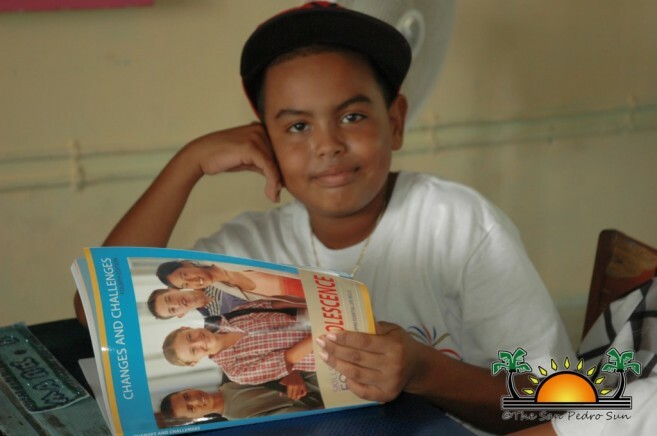 Caye Caulker RC School has implemented the Lions Quest Program for eight years and this year will be the first graduating class that has completed the eight years of life skills. For the school, they are proud that finally a new generation of students is equipped with skills that can take them into the challenging world. “I encourage the schools to get involved in the program. The Lions Quest is one of the best tools that can help a school better shape the students because it deals with molding a child’s character, physical well being and includes social and intellectual ways of teaching children on how to become better citizens in our country,” advised Verde. The program has been so successful at the Caye Caulker RC School that earlier this year, Lions Club International was scheduled to film a documentary featuring the school as a model Lions Quest School. That documentary has been rescheduled for a later date. On Ambergris Caye, The San Pedro Roman Catholic Primary School and the San Pedro High School had the Lions Quest program up until last year when it abruptly end it, a decision that cost the San Pedro Lions Club a few thousand dollars. Another school on Ambergris Caye has expressed interest in introducing the program into their school’s curriculum. For more information on the Lions Quest program you can call Melanie Paz at (501) 620-1281 or Robert Lopez at (501) 602-5885.